One of the most influential artists of post-war Japan, Atsuko Tanaka’s (b. 1932) installations and performances provided a benchmark position of the Japanese avant garde. Following World War II, industrialization and urbanization rapidly and radically transformed the cultural landscape in Japan. A member of the Gutai Art Association (Post-War Japanese Art Group), Tanaka and other like-minded artists struggled to find new modes of expressing the unpredictable changes that were occurring around them. Experimentation and innovation became central to their artistic practice. 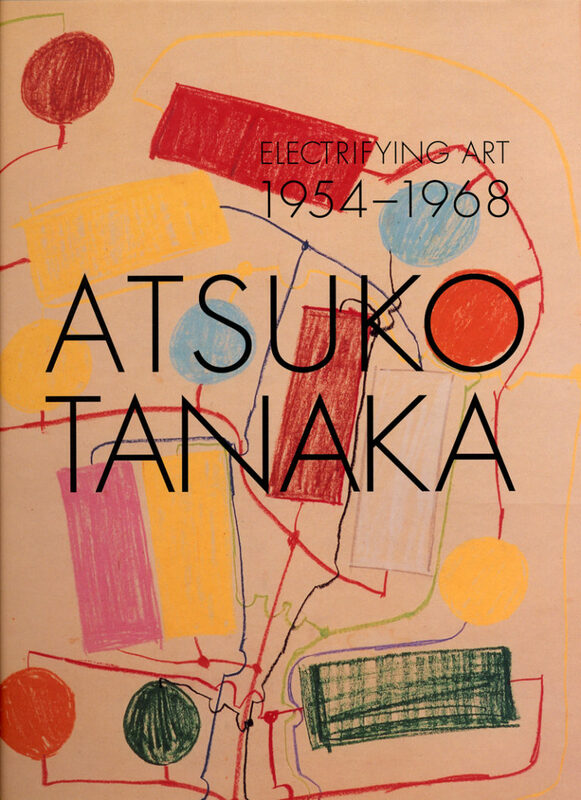 Electrifying Art: Atsuko Tanaka, 1954-1968 will feature three important historical works: the sound installation Bell (Work) (1955); the famous garment Electric Dress (1956) made of over 100 multi-coloured, blinking light bulbs; and a 30-foot wide dress Work (Red Dress) from a performance in 1957. Also featured are 15 abstract paintings and 40 detailed drawings. 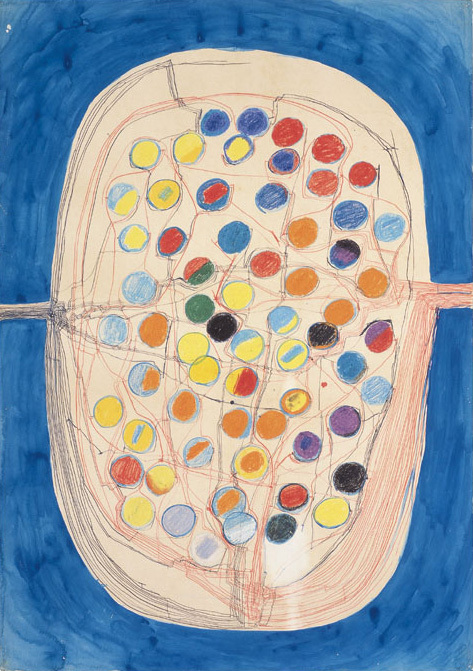 The first solo exhibition of a Gutai artist in North America, the Morris and Helen Belkin Art Gallery is pleased to co-organize this exhibition with the Grey Art Gallery at New York University. The exhibition is guest curated by Ming Tiampo, Assistant Professor of Art History at Carleton University, Ottawa and Mizuho Kato, Assistant Curator at the Ashiya City Museum of Art and History, Ashiya, Japan. The exhibition will be accompanied by a selection of ephemera: artists’ journals, photographs and video by the Gutai group; and a 128-page illustrated catalogue featuring essays by the curators, an illustrated chronology and a selection of Tanaka’s writings, translated into English for the first time by scholar and independent curator Reiko Tomii. This exhibition is made possible by the generous support of The Canada Council for the Arts with the assistance of the Japan-Canada Fund, a gift to the Canada Council for the Arts from the Government of Japan; the National Endowment for the Arts; the Estate of Betty Soeleiman; the W. L. S. Spencer Foundation; the Pola Art Foundation; the Asian Cultural Council; The Japan Foundation; Fasken Martineau DuMoulin LLP; Davies/Hall Remax Commercial Realtors; Canada Life; Raintree Ventures Ltd.; Rockwell Pacific Properties Inc.; Standard Life; Hinkson Financial Group; ADERA; and the Royal Bank of Canada as well as anonymous donors. Additional funds have been provided by the Abby Weed Grey Trust and the Morris and Helen Belkin Endowment for Exhibitions and Acquisitions. 109.0 x 77.0 cm. 21st Century Museum of Contemporary Art, Kanazawa. Electrifying Art: Atsuko Tanaka 1954–1968. Exhibition catalogue. 127 pages, colour and b/w images. Hard cover. Essays/writing by Ming Tiampo, Mizuho Katō, Lynn Gumpert and Scott Watson. $30.00 / SOLD OUT. ISBN# 0-88865-632-7 — To order contact: belkin@interchange.ubc.ca, tel. 604.822.2759, fax. 604.822.6689.